My discrete card (Radeon RX 550/550X) have worse performance than integrate one ( Intel UHD Graphics 620). I've noticed that when I try to play CS:GO. Welcome to the forum. Please edit your post to use [ code ] tags around the inxi output, and use a pastebin client for the Xorg log (google drive requires us to download the file, something most people will not do). xorg log doesn't show problems in the graphical setup. You have a hybrid graphics system using a PRIME setup . Post xrandr --listproviders output . If that looks similar to the example on the prime page, check it's gpu offloading section . 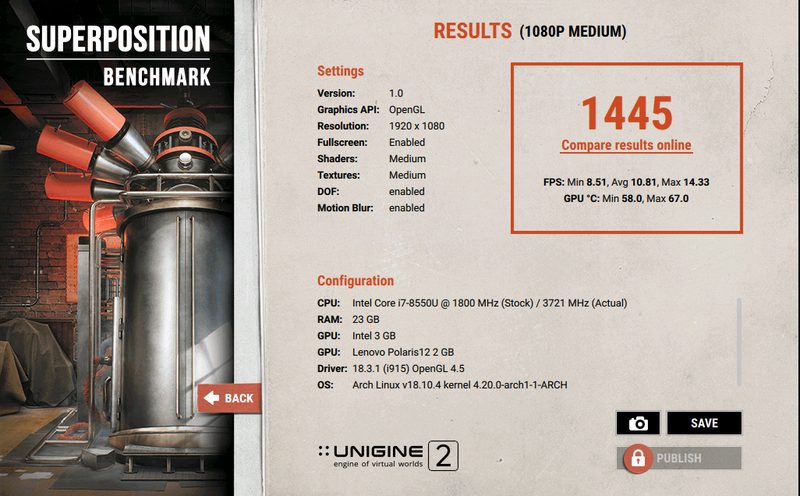 If all you run are OpenGL ES 2 applications it's a great benchmark. Try unigine-superposition for a modern benchmark or the somewhat older unigine-valley if superposition is to heavy. I've noticed that on both I have "Driver: 18.3.1 (i915) OpenGL 4.5". moderator edit -- replaced oversized images with links. 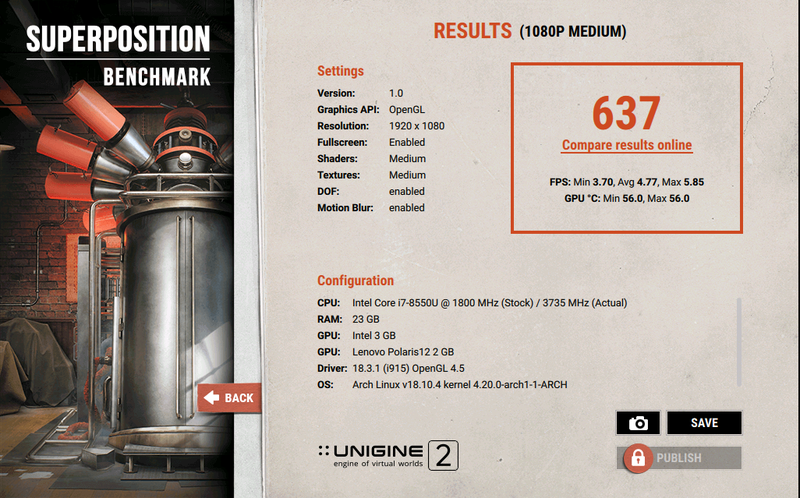 Those results match my expectations : the amd card performs better then the intel integrated one. You did mention problems with CS GO, I guess you're running it from Steam ? if so, are you using steam or steam-native ? I've installed the steam-native and it looks better. Thank you for help!